The expedition was made up entirely of British adventurers, gadabouts and scientists, the exception being one Canadian, Charles Seymour (Silas) Wright. 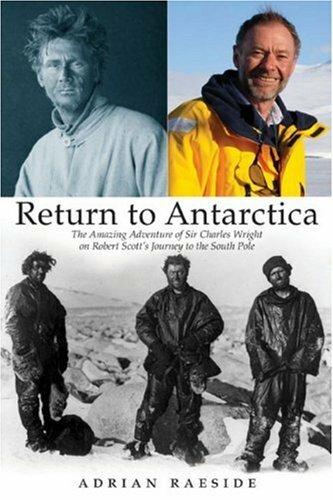 Born 1887 in Toronto, Charles Wright was studying physics in Cambridge when he heard Scott was looking for a physicist to join the expedition to the pole. By the time Wright inquired, Scott had chosen a physicist for the team but was short a glaciologist. Who else but a Canadian would know about glaciers? Wright became the expedition's glaciologist. Halfway through the rough passage to the Antarctic, Scott got word that a rival explorer, Norwegian Roald Amundsen, was also making a run for the pole and was close on their heels. What started out as a stroll to the South Pole became a race between two very determined and different men. Arriving at their base camp on Cape Evans in January 1911, Scott's team soon discovered they were unprepared for the Antarctic, while equipment failures and food shortages compounded the hardship. For the final race to the pole, Scott stripped the team down to four men, and Wright did not make the cut. Scott reached the geographic South Pole only to find that Amundsen had beaten them by days. Bitterly disappointed, Scott and his companions returned to base camp, but were caught in a fierce Antarctic blizzard that raged for days. Too weak to pull their sleds and out of food and fuel, they froze to death. Ironically, as if to underscore the litany of errors that dogged the expedition, they perished only a few miles from a cache of food and fuel. Next spring Wright led a search party to look for the remains of Scott and his party, and it was the sharp-eyed Wright who spotted a small patch of green on a snowy landscape - the tent containing Scott and his companions' frozen bodies. Wright returned to England and went on to do even more extraordinary things, including inventing trench wireless in WWI, and working closely with Winston Churchill, developing the technology to assist in the allied invasion of Europe in WWII which included developing the first radar installations and inventing the technology that neutralized German magnetic sea mines After a stint as naval attaché to Washington, D.C., and Director of Scripps Oceanographic institute in La Jolla, California, he retired to Salt Spring Island, BC, passing away in 1975. Typically Canadian, Wright was modest about his accomplishments, with few Canadians aware of his amazing life and the extraordinary impact he had on the 20th century. 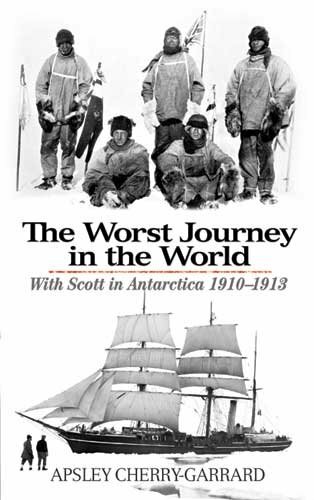 Return to Antarctica is one of the very best book written about the Scott 1910-1912 expedition. I've read everything printed about Antarctica's Heroic Period. What sets apart Adrian Reaside work is that you'll find inside tons of new information. Numerous quotes from Silas Wright diary, from Griff Taylor's memoirs and so on. You'll learn what was the relation between all those characters and it's fascinating. We learn, for one thing, that Silas warned Bill Wilson that Scott's calculations about fuel and food rations on the South Polar Journey were all wrong, and he ask Uncle Bill to bring the matter up with Scott. There are 3 or 4 factuals errors those who knows the Scott expedition real well will find, but those are easyly forgive when balanced with the enormous amount of new material and insights. Go get the book, now. This book detailing a generations-long exploration adventure came across as fascinating; author Adrian Raeside did not disappoint. After enlightening the reader of his family's history with explorer Robert Scott's rather obsessed voyages to "conquer" Antarctica, Raeside spells out an informative and slightly humorous look into the "discovery" of the continent, listing with care the many subsequent explorations attempted thereafter by various groups and countries. Armed with unstinting research, family-held photographs and letters long stored away, Raeside paints a picture of the 1911 and 1912 expeditions of Scott and his crew, one that differed in many ways from the more legendary, "clean-shaven" version that he'd heard growing up. The reader learns of the experiments run by the crew of using snowshoes, VS skis, and how these simple tests aided future explorers. The included photographs depict a story all by themselves, but the maps Raeside drew of the smaller journeys taken--how far they got in so many days--were helpful in understanding better the frightful positions these men placed themselves in. This piece is a candid, studied look at an extreme journey, yet written with more familiarity than a mere documentary. 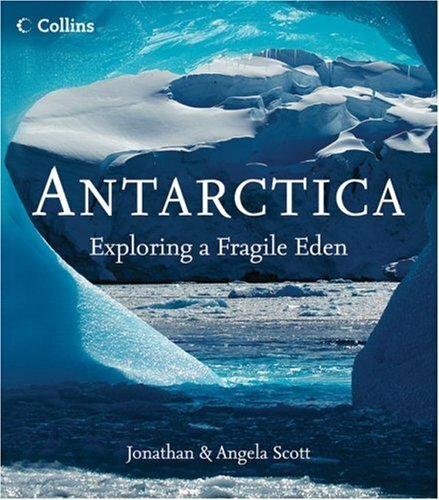 For any one who loves Antarctica andice, this is a wonderful book, written by one of the world's foremostglaciologists. Completed reading The Frigid Mistress in three days, a very good read.It put into perspective a lot of the detail missing from a too brief a visit to the Antarctic Peninsula.On thing is very clear, we were incredibly lucky with our weather compared with what's in the book.The detail of life on those expeditios is very graphic and illuminating; so many other writers leave interesting details out of their accounts.Some American expressions and field words sounded odd, but I have been able to guess, or at least I hoope I have got them right. I have just finished reading The Frigid Mistress and would like to say that I enjoyed every word.I almost felt that I had been on the trip myself and endured the discomfort, expectations, satisfaction, and fulfilment.I was fascinating to hear about the day to day problems and all those little things that I have always wanted to know but been too embarassed to ask about.I am sure the book will give pleasure and insight to all readers. The reviewers names listed are incorrect.The same name (Carl Lackey) appears on most reviews.Lackey sent one review only.The rest of the reviews must have other names.Better check your archives and apply the correct names to the reviews. If I could, I would go to Antarctica in a heartbeat. The Frigid Mistress is simply excellent.As one who only can wish to go to Antarctica, I could not comment on the authenticity, but after speaking to my dad on the subject, I'd say Dr. Doumani hit it right on the nose.I know my father, who participated in these expeditions, also really enjoyed reading the book.I thought it was particularly interesting how the explorers made it around in those early years, let alone survive.And to think that now people can purchase vacations to the same place! This is a side of my dad that I was really looking forward to hearing about.Dr. Doumani writes in a way that is very informative, yet very easy to read, and at many times humorous.I wish I could think of a way to get down there; I would go in a heartbeat. 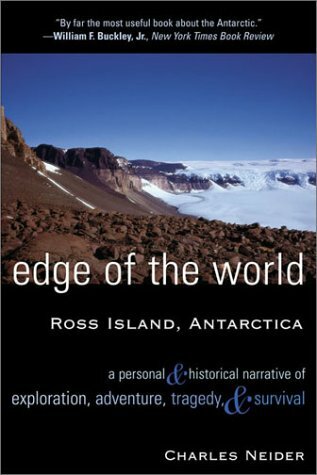 This is an account of isolated winter and several traverses, suffering from mechanical problems, crevasses, whiteouts, blizzards, lack of privacy, physical and emotional malaise, arguments (even fist fights), boredome--in short, the whole list of problems associated with living in an extreme, unusual isolated and confined environment. To his credit, Doumani is open about describing these difficulties.This is among the every few accounts I have seen that deal with the embarrassment and discomfort attendant upon having to defectae when one is living in a polar vehicle without a latrine, and that give the true feeling of traveling for weeks or months in a small, cramped vehicle with a group of other men, none of whom has washed or changed his clothes during the trip. By the same token we get glimpses of the excitement, joy, and even ecstansy of going where no man has ever gone before, of collecting truly unique scientific data and specimens, of climbing up rocks, sliding down glaciers, and generally feeling as if one were in a brand new, challenging and intriguing world. Doumani's book is especially impressive in touching upon many of the topics that figure large in the psychological literature on stressful environments.Such topics as the effects of age differences, the combination of isolation and lack of privacy, the relationship between educational level and the ability to counteract boredom without use of alcohol, the importance of food as a palliative, the swings from good fellowship to withdrawal or hostility, the role of communications with home, and the imprtance of patience and humor, are presented with great insight.In fact, I found it very reinforcing that a geologist would thus pinpoint the very concerns that psychologists doing research in such environments have identified as important.Most unusual of all, Doumani's final chapter deals with re-entry to home and family.This is a major issue, generally ignored in the psychological literature as well as in memoirs:The family, having reorganized itself according to new roles, structures, and procedures, must now reintegrate a long-absent member who expects everything to be just as it was when he left. 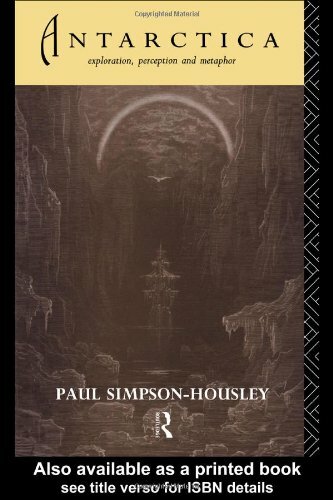 Published in 1922 by an expedition survivor, this riveting adventure classic recounts the ill-fated expedition to the South Pole led by Robert Falcon Scott. Journal entries by other expedition members complement the narrative, offering an incredible, unforgettable story of struggle and courage in the face of overwhelming odds. The Worst Journey in the World has been called the one of the greatest travel book in English, and not just by me. At one time it was about to go out of print and was brought back from the edge of death by enthusiasts writing appreciations of it for magazines and newspapers. It is a fabulous, hair-raising page-turner about a group of intrepid Englishmen, part of the doomed Scott polar expedition, who rather breezily set off in the polar winter on a side expedition to the coast to get eggs of the emperor penguin for scientific study. Sub-zero temperatures! howling winds! crummy equipment! arctic darkness! stiff (literally) upper lips! They are all there. It would be difficult to exaggerate the impression this book made on me. Knowing how it ends does not for a second take away any of the suspense and awe of this story. Cherry-Girard is able to make you understand what kept these men going. You grow to admire them, root for them and even to love them. They were such gentlemen. Their bravery was without bravado. Courtesy never lapsed under the absolute worst imaginable strains. Reading this book made me want to go and see that continent, so beautiful were his descriptions. I did go see it, and would return in an instant if I got the chance. This ambitious book by Stephen E. Pyne approaches the massive ice-sheet of Antarctica from all possible angles and has been appropriately hailed as a pathbreaking study. Upon its publication in 1986, "The Ice: A Journey to Antarctica" immediately gained credence as a profound exploration of the sublime nothingness of the continent. Pyne touches on the elements of Antarctica emphasized it as a realm of history, a place of dominant landscapes, an inspiration for literature and art, and a scientific treasure trove. He argues that for all of its geology and geography, geomagnetism and weather, biology and boredom, Antarctica remains at sum a diminished location in which water has been transformed into mineral. There are no cultural studies beyond those on the explorers themselves. As many have commented, the ice of Pyne's characterization is a study in nihilism. 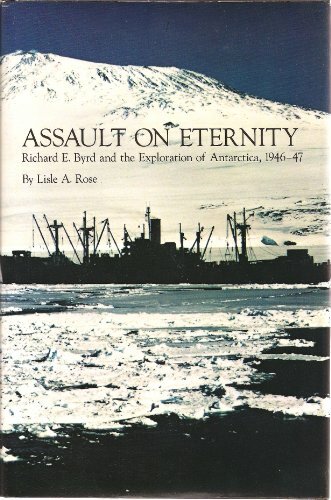 According to one reviewer, "The appeal of this rich and awestruck book lies in its author's strenuous attempts to come to terms with the sheer negativity and materialism of Antarctica" (Kirkus Review, available on-line at http://www.amazon.co.uk/Ice-Antarctica-Stephen-J-Pyne/dp/1842126741, accessed February 15, 2009). As another reviewer remarked, "Pyne uses two metaphors throughout the book. Antarctica is an information sink, requiring the input of huge amounts of information before it will give anything in return; it is a reductionist, abstract environment, both physically and intellectually alienating. Second, Antarctica is a distorted mirror, reflecting back what each individual and culture brings to it." 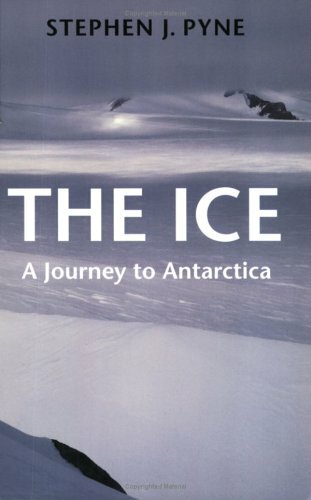 Pyne offers "a mystical mood in this book that hints that human endeavors in Antarctica will never really touch "The Ice" (Richard Gillespie, review in "Isis" 78 (September 1987): 456-57). Environmental historian Donald Wooster commented about Pyne's Antarctica, "To penetrate it scientifically required airplanes, remote sensors, and advanced crystallography. To apprehend it aesthetically took the modernist evolution in the arts, which has emphasized abstraction, subjectivity, and minimalism." 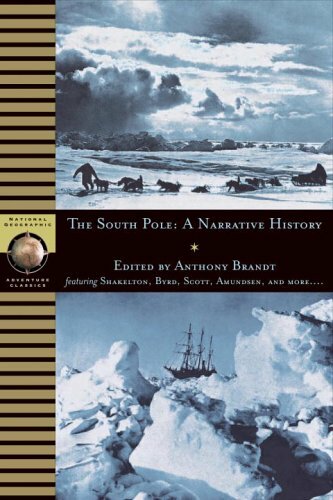 All of these reviewers agree, however, that this is a powerful, important book requiring consideration in any study of Antarctica. This book is as definitive as its title. It is THE book on THE ICE. This is the seminal book on all that is Antarctic. There was never a book like it, and the likelihood that there'll ever be another in its nonpareil class is nil. I suspect that this book will remain unsurpassed for being an all encompassing tome on Antarctica for decades, possibly even centuries ... maybe even until we emerege from this interglacial period and the Western Ice sheet melts, thus giving up the secrets to climate control and Antarctica. I can't imagine much has been left out at all - Pyne is unbelievably, incredibly thorough. Every facet of the ice, and every facet he could think to associate with ice has been methodically slotted into this book. And if he ran out of talking about anything to do with the ice, he'd talk about Antarctica. But this book is very, very, very, VERY heavy going. I set myself a goal of 25 pages/night - but it still took 2 months to read... Sometimes, I just had to take a break. And as I ploughed ever onwards, I constantly wondered, 'how would someone be able to read this if they hadn't actually been to Antactica???' And other times, I even qualified that with a "would anyone really understand this if they weren't a geologist or in a similar field?' I mean, Pyne can be descriptive, but at other times, adjectives seem to be insufficient, so he swoops into heavy scientific jargon. The planning to buy this book was detailed and meticulous. Consultations had to be held with interested parties (my sons) and the wait for it to arrive was lengthy - at least ten days. It was with a sense of mounting excitement that we eagerly surveyed the flat white cover of the package, I could sense our goal. I knew it wasn't going to be easy traversing 428 pages of a book titled "The Ice" but I had completed intensive practical training for this expedition. I was a veteran of Huntsford's "Schackleton", Huxley's "Scott of the Antarctic", Fuchs & Hillary's "The Crossing of Antarctica", the list was long but rewarding. Here was my biggest challenge to date. The warnings were stark right from the start, the prologue uses half a page to list 72 ways to name ice. I stumbled and nearly gave up. Willpower, only willpower kept me going. I was becoming word blind. Reaching my first goal, the middle, I could only contemplate with horror the trials still awaiting me. "Great God, this is an awful book", I thought as I turned the next page. I wondered if I had the stamina to make it, others before me must have faltered. My son looked at me, "I'm just going out, I may be some time". I could only admire his courage, at having come so far. I ploughed on, yet another reference to Admiral Byrd appeared on the horizon. Until now I had been unaware of his supreme importance as an American and Antarctic explorer. Similarly I had been foolishly unaware of the fact that "...there is nothing in the Heroic age to compare with Ellsworth's all-or-nothing transcontinental flight, even Schackleton turned back..." The fact that Ellsworth achieved precisely nothing is of no importance, he was an American. Things were looking bleak, stamina was draining fast. A crevasse nearly finished me as I learned that TMW Turner (English) had painted sunsets. I began to lose hope, I was hallucinating, could he really mean JMW Turner who painted ships too, and trains ? It was my darkest hour, all hope was gone. I closed the book. This is a book for the fanatical written by someone who equates flowery, overblown prose with literature, it is so bad it is almost a parody. If you want to read about the modern Antarctic, read Sara Wheeler's polar classic "Terra Incognita". The best place for Pyne's tome is on an iceberg, drifting slowly out of sight towards the equator. Hard to read but you still can't seem to get enough. 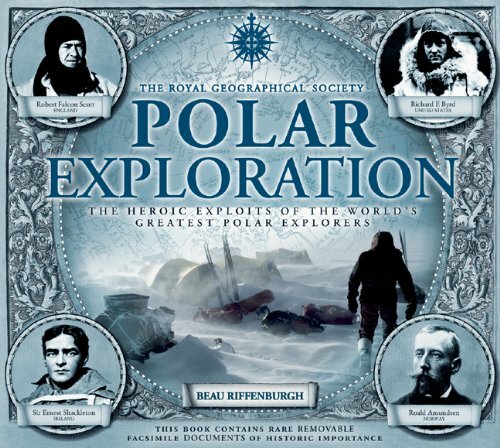 Produced in association with the Royal Geographical Society, Polar Explorations looks back at a heroic age, when explorers ventured forth to conquer nature's last bastions. It follows the most incredible voyages in history, from the initial navigation of the Northwest Passage to first flights over the Antarctic. There are impressive accounts of Shackleton's famed open-boat journey, Mawson's solo trek across the Polar Plateau, Ellsworth's transatlantic flight, and more. Lesser-known stories of cannibalism, madness, sabotage, and mutiny capture the thrill and danger of these amazing missions. Although the Antarctic ice pack and some offshore islands had been sighted and even landed upon briefly as early as the 1820s, it was not until an eccentric Anglo-Norwegian explorer, Carsten F. Borchgrevink, went ashore in 1895 that a human being set foot on the Antarctic continent. Borchgrevink, snubbed by the British establishment, had stolen a march on several planned competing expeditions from Germany and Scandinavia. Borchgrevink returned to Antarctica in 1899 with a party that was the first to winter over on the continent. Regrettably, bad weather and unscalable mountains limited their forays inland. Borchgrevink's survival was proof that with adequate supplies, the Antarctic winter was survivable, and that with a better geographic position, the enormous unknown of the continent could be investigated. Borchgrevink galvanized the British geographical authorities who had come to consider polar exploration their exclusive province. Led by Sir Clements Markham of the Royal Geographic Society, the British keenly felt his blow to their national pride delivered by an explorer they regarded as an arrogant upstart. The RGS pushed forward with its plans, and a tragic competition to be the first to reach the South Pole was set in motion between the British and the Scandinavians. 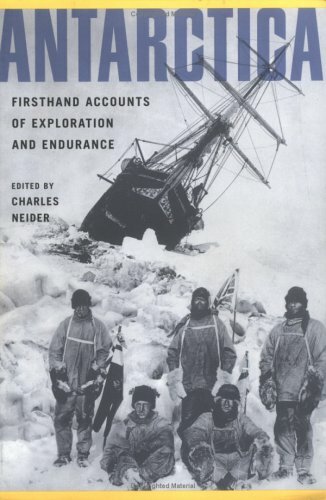 This work is an account of the first tentative human gropings in Antarctica, concentrating on the coalescing of official and popular attitudes that later resulted in the polar races of Robert Falcon Scott and Roald Amundsen, which dominate the story of the "Heroic Era" of Antarctic exploration, from 1901 to 1922. 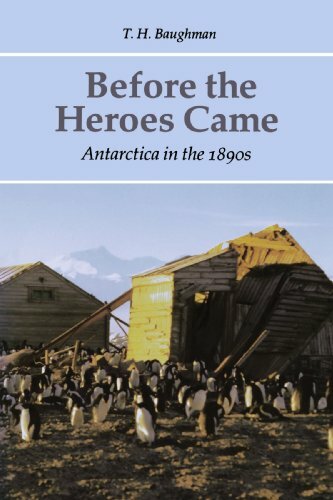 T. H. Baughman's Before the Heroes Came (Antartica in the 1890's) is an important look at the era before the Heroic Age of Scott, Amundsen, and Shackleton.This very slim volume shows the build-up of interest in the Antartic and the politican and scientific forces coming together to propel both the noble and the foolish onto the triumph and tragedy that was the Antarctic after the turn of the century.This book is essential for those with a passion for this frozen land but will leave those looking for another arctic adventure story a little cold.The writing can be a little dry at times and the procession of scientists and sailors whirl by a little too quickly.But for those who want to fully understand man's need to explore the Antarctic, this book will prove essential. 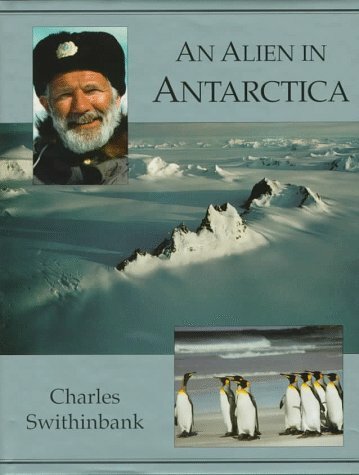 A must for all Antarctica buffs! Weaving together the discovery stories of explorers such as Cook, Shackleton, Scott, and Amundsen, with the ecological stories of whaling and sealing, fishing and climate change, man's impact on this magnificent continent is revealed. For such an austere, frozen, and inhospitable environment, Antarctica is in fact a surprisingly fragile Eden. I really liked this book. 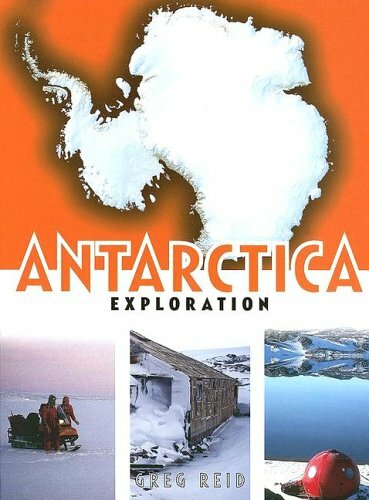 After reading about five volumes on Antarctic explorers, I decided to buy a book that would allow me to (a) get a visual feel for Antarctica; (b) learn some general knowledge about this frozen continent. In both these respects the Scotts succeed admirably. The husband-and-wife team of Jonathan and Angela Scott (both award-winning wildlife photographers) have combined three distinct skills in this volume: research; photography and drawing. Yes, they have actually taken the trouble to do their own illustrations. And not only is the quality of their sketches high, but they have not taken the easy way out: all the drawings are done by stippling - a technique which requires real patience to get right.